GGBet is one of those bookies that you visit and decide to stay. They’ve been in the game long enough to know exactly what needs to be done when a major tournament happens. Whether you’re a LoL fan or a CSGO fan – you'll be able to find the game you love. At least one of the major ones in the current Esports world. Esports betting at GGBet is simple and intuitive; you’re greeted with a livestream (whatever tournament is currently on) so you can watch the game while you place your bets! And betting is as simple as clicking a button. The website also features other sports but their current focus is Esports. There are some special bets at play which can prove to be a lot of fun. So, if you’re looking for an outstanding Esports bookmaker, you’ve come to the right place. This review will give you everything you need to know about GGBet. 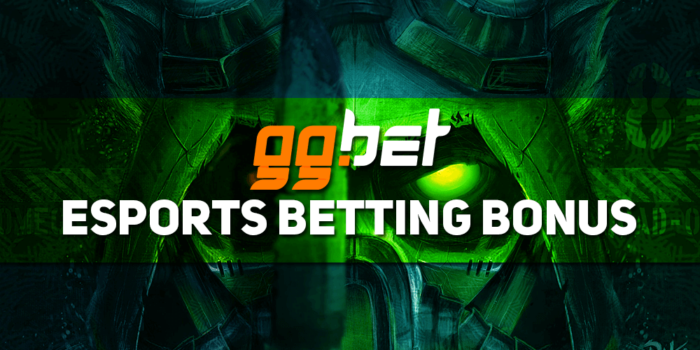 GGBet can pride themselves with having a nice assortment of available games for Esports betting. Right now, the most popular games are League of Legends, CSGO, Dota 2, but Fortnite is catching up fast. And what do you know, GGBet has support for all of these (including Overwatch). Oh, StarCraft II, Rainbow 6 Siege, and PUBG are also available! What would an Esports bookmaker be if they had a measly number of available games for you to bet on? This way, you won’t need to leave since everything is readily available for you and your Esports betting needs! The available betting types at GGBet are great. There’s live betting which is slowly becoming the favorite in Esports betting as they can skew winnings in your favour. The betting odds are enticing as well. Secondly, in terms of actually choosing the betting type, you’ve got outrights and regular betting types. Outrights actually change from tournament to tournament and from game to game (so one tournament with a specific betting type may not be available for outrights). Out of the regular bets, here’s what you can choose: Winner, Total Kills (Fortnite), 1st Map winner, or a 1x2 system. Pretty good choices! When it comes to physical sports, soccer, basketball, American football, and ice hockey lead the way. These are the most popular on the site (but you can also choose tennis, boxing, MMA, and volleyball). In any case, GGBet has optimized their website perfectly and offer plenty of different Esports betting opportunities. GGBet specializes in offering attractive and profitable odds. They aren’t interested in scaring you away or offering you botched Esports betting odds; instead, they work hard to create the best possible odds for you. But it also depends on team performances as well. If a team starts losing a lot, then a winning bet on them will bring more (and vice versa). Still, GGBet tries to offset some issues by preparing odds that you wouldn’t expect! GGBet doesn’t currently offer a welcome bonus to the global public. However, when you become a member, you become eligible for personal promotions and individual offers. These happen through your E-Mail account so once you do register, be on the lookout for special offers from GGBet! Note: There is a bonus that you can get by using a code on their site. Check GGBet's website for more info! It’s completely understandable that people want to withdraw and deposit money in a timely manner. An Esports bookmaker that doesn’t provide this usually doesn’t do so well. However, GGBet is different in that they offer a wide range of available payment methods, all of which are quick and precise. Obviously a respected Esports bookmaker such as GGBet has customer support. The question is, how good are they? For starters, if you run into any issues on their site, you can contact them through phone or E-mail. There’s also the online support option which is available 24/7! The team is dedicated to helping people out and making their experience as good as possible.